The agriculture industry has been important since the founding of our country. The industry that helped shape our nation, has come to symbolize hard work and resilience over the years. However, this industry is ripe with safety hazards that have made it a consistently dangerous one in which to work. The CDC reports that every day one hundred agriculture workers suffer a lost workday. Furthermore, according to the National Census of Fatal Occupational Injuries, in 2017 the fatality rate was 21.4 employees per 100,000, more than any other industry in the country. 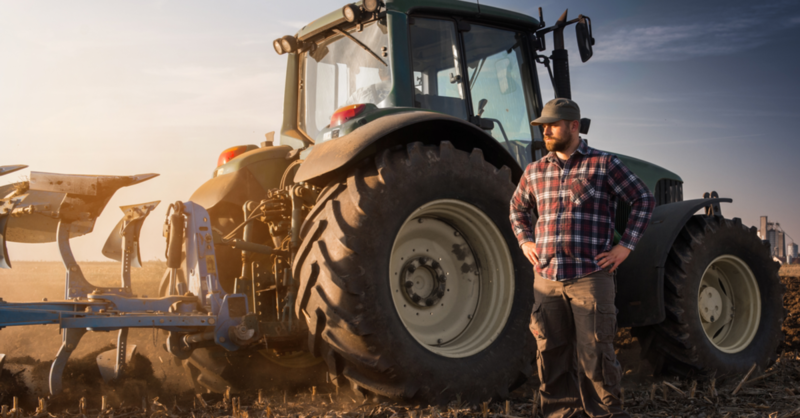 This article will examine the top hazards for agriculture workers and offer safety recommendations to help keep employees safe. Although this industry has a high probability of worker injuries, proper safety programs can keep employees working, protecting both workers and the business's bottom line. In 2016, transportation incidents were the leading cause of fatalities in the agriculture industry. The National Institute of Occupational Safety and Health (NIOSH) estimates there are 4.7 million tractors in use on U.S. farms alone, and over half do not have any form of protection for tractor rollovers. Farming equipment is unique in that it involves heavy machinery combined with the outdoor elements which can increase the risk of injury to employees in the field. Running machinery can cause severe injuries leading to long-term disabilities in some cases. Workers cannot afford to be unfocused when around or using farming equipment. One small error is all it takes to create a catastrophic incident. Pesticides are prevalent in agriculture with an estimated 5.1 billion pounds being applied to crops each year. 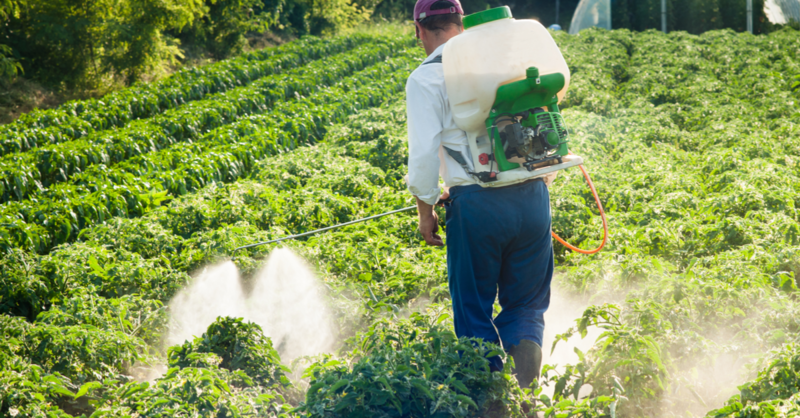 Workers exposed to these chemicals can experience the effects of acute pesticide poisoning which can include headaches, nausea, or even seizures. Exposure to pesticides causes farmworkers more chemical-related injuries and illnesses than any other industry in the nation. These chemicals can cause long-term issues for workers. Symptoms may appear many years after exposure, making pesticides a silent killer to which all agriculture businesses need to pay attention. Heat-related illnesses affect thousands of agriculture workers every year, even leading to fatalities from overexposure to heat. However, the silver lining with heat illnesses is that they are completely preventable. Workers who are exposed to hot and humid conditions are at a higher risk of heat-related illnesses such as heat exhaustion or heat stroke. These hazardous conditions can be even more of an issue for new employees who may not have built up a tolerance to a hot working environment. To deal with hot and humid working conditions, workers should remember a simple slogan, "Water, Rest, Shade." Workers should make hydration a primary goal every working day, drinking water every 15 minutes can be a good guide to ensuring workers have the proper level of hydration at all times. Workers should wear protective gear such as hats and light-colored clothing, this will help decrease fatigue and risk of over-exhaustion. Proper rest periods should also be established where workers can rest in the shade to beat the heat. Just a few simple steps can be the difference when it comes to avoiding heat-related illnesses. Tractor rollovers are the single deadliest type of injury incident for the agriculture industry. NIOSH estimates there are 250 tractor rollover fatalities per year. Rollover protective structures (ROPS) are a roll cage fitted around a tractor to protect drivers from injuries sustained if a vehicle rollover does occur. Using ROPS and a seat belt can be 99% effective in preventing serious injuries and fatalities in the event of a tractor rolling over. ROPS also protect tractors by limiting the degree of rollover, an added benefit of installing these devices on vehicles used in farming operations. An estimated 50% of agriculture workers are Hispanic. OSHA requires all companies to provide information in a language that is easy to understand by their employees. OSHA has resources to help businesses with Spanish safety materials. Make use of those resources so that employees can protect themselves from the hazards of working in agriculture. Remember, training is never a one-time occasion, so offer resources regularly throughout the year. The agriculture industry has unique hazards that can produce a catastrophic impact on workers and businesses alike. Safety policies and procedures are the best strategies to navigate the many risks that can expose workers to injuries and illnesses. If you believe your company may be lacking in areas of safety, contact our experts to learn how Work-Fit can provide full workplace safety assessments and custom procedures for your business. By planting the seeds of safety within the organization, workers can reap the benefits of a safer work environment and help farming businesses meet their overall objectives.